Expense Report web and mobile management solution with unlimited features and smooth NetSuite two-way integration. Among other features, the application allows to transfer credit card transactions and receipts into your NetSuite account, deals with multiple currencies, supports OneWorld function plus multi-entity support and custom NetSuite dimensions support. With best in class engineering team and outstanding customer service we never say "no" to our customers. Our feature-rich expense management tool is being constantly updated with new capabilities and options based on your requests and comments. And we do all that with no extra charge. You can have one of our team members show you the solution with no risk at all. We will walk through the mobile app, approval process, and NetSuite Integration and allow you to dig deep into how our solution can solve your unique company needs. API-based integrations ensure your data is transferred securely and automatically. With over 300 pre-built NetSuite integration settings available, Nexonia is designed to seamlessly integrate with the Time & Expense and AP modules, and sync against a range of NetSuite dimensions, such as: Customers, Vendors, Items, Departments, Locations, Classes, and more. Better yet, Nexonia offers support for your custom lists, allowing you granular control over how your users interact with your NetSuite data. Nexonia supports expenses from a variety of sources, whether by hand, from a receipt, an automatic credit card feed, or from one of our many travel providers. Define what types of data you want your users to provide, and never worry about missing information about an expense again. Nexonia retrieves daily exchange rates in any currency you need, the amount automatically calculated based on the date of your receipt. With over 161 currencies to choose from, your global workforce can expense with ease. Complex VAT and tax profiles can also be preloaded into Nexonia to remove the busy work from your team. Nexonia also comes preloaded with GSA Per Diem rates to further make business travel a breeze. 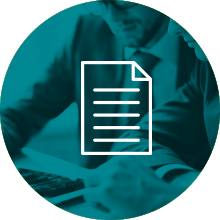 Nexonia supports highly customizable approval flows, detailed policy enforcement, and a wealth of insight via our robust reporting engine. 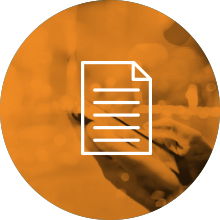 These contribute to a highly customizable system that is flexible enough to meet your specific compliance needs. Take advantage of our included training program with a live webinar direct to your team. We’ll even provide a recorded copy you can utilize for training down the road. All Nexonia administrators have full access to our North America–based support team, available via phone, email, and web conferences. Finally, our trained implementation specialists will help you set up Nexonia with NetSuite based on your specific company policies. Corporate expense reporting becomes simple and efficient with Nexonia’s feature-rich system, easy-to-use mobile apps, and complete ‘Built For NetSuite’ system integrations. Stop wasting time and money and start using Nexonia today. Splunk recently converted our financial systems to Netsuite. We had been using Nexonia as our expense system in the past, and being able to continue using Nexonia with Netsuite has been wonderful for our staff and our admins! Nexonia worked closely with us to make sure the switchover was smooth and easy - our employee's expense payout flow was not interupted, and Nexonia's customer service is of the highest quality. I highly recommend using Nexonia as your corporate expense solution. Nexonia has made it simple to upload American Express transactions into Netuite. The time savings is well worth the conversion cost. Joyent moved from Quickbooks to OneWorld Netsuite in June 2010. Nexonia was our employee expense tool prior to the migration. The team at Nexonia were extremely accomodating in making the conversion as pain free as possible for us and relatively seamless for our employees. We did have some wrinkles, but Nexonia worked hard to smooth them. I give Nexonia 5 stars!! JMI is a NetSuite OneWorld customer with domestic and international operations. Our business requires many of our employees to incur significant travel both domestically and internationally. We are extremely pleased with our move to the Nexonia system. Nexonia's integration with NetSuite is fully automated with great syncing of configuration data and transfer of completed expense reports to NetSuite. Nexonia also automatically integrates with our corporate credit card programs (MasterCard and American Express) on a daily basis. Nexonia has been a great partner for us and we have found them to be very flexible to our needs as a corporate customer including refining and adjusting their system to ensure it fits our business processes seamlessly as well as all of our international needs. They have been extremely responsive and the project was completed on time and on budget. Love, love, love, Nexonia Expense reporting. Very easy to use. Reports are great. Syncs seamlessly to NetSuite. Have been using Nexonia Expense Reporting for 3 years now. So happy to have found this solution! We have used Nexonia for over 2 years for expense reporting. They continue to improve the customer interface and mobile apps to enhance the usability of the product. The direct nightly feed from several credit card providers saves manual upload time. We have also added time tracking and our employees love the ease of use. The report writing is simple and efficient. It is viewed as the best software we have added in our company in the last 10 years. 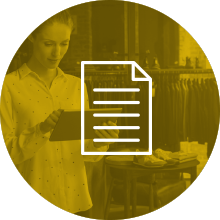 Expense reports are straightforward and easy to use and integrate seamlessly with NetSuite. Nexonia Expense Reporting rivals any expense reporting tool in functionality and usability. The seamless integration with NetSuite and outstanding customer support from Nexonia are just a few of its finer features. Customizations are never an issue. We recently implemented American Express Corporate Cards with Nexonia and NetSuite and we are enjoying a smooth and error free transition. The mobile app makes expense reporting while traveling simple and easy. Seamless integration, Pleasure to work with! Nexonia has been an absolute pleasure to work with. Integration with NetSuite OneWorld was a breeze and Nexonia was not only willing to customize their solution to fit our exact needs, they didn't even charge us extra. We would give anyone looking for a way to integrate expenses with their NS instance our highest recommendation. For a year I did not have an efficient solution to get my employee's credit card charges in to NetSuite. It was a manual effort that consumed wasted man-hours. Introduce NEXONIA! This program seamlessly integrates with NetSuite allowing us to now automatically download all credit charges at the push of the submit button. There's more, using the easy to use setup, we now have a tight approval system and expenses are coded to Departments and Chart of Accounts. Nexonia is a game changer and the support team provides great help if needed. After looking at several options we settled on Nexonia to help us integrate our corporate visa cards with NetSuite. Nexonia is flexible and easy for our end users. Even the most clumsy computer user was able to use Nexonia with little training. The thing that stands out the most about Nexonia however is the service. They went above and beyond time and time again to make sure Nexonia fit our needs exactly. The few little problems we have had were resolved faster than we could have hoped for. I would recommend Nexonia without hesitation. Our company began using Nexonia in December of 2011. The system has proven to be an excellent choice. Users find the system easy to navigate and use. The interface is customizable to whatever your needs may be, and the Nexonia support team is fantastic! The Nexonia team truly seems to believe that the customer needs to be the first priority, and they are willing to bend over backwards to make sure that the system is customized to fit whatever your business needs happen to be. Our company recently launched Nexonia Expense reports. We have been a NetSuite customer for over 3 years, but were using excel spreadsheets to submit expense reports and upload corporate credit card transactions. We contacted Nexonia over a year ago, but put the project on hold. The sales rep followed up periodically but was not pushy. When we were ready to move forward, they set-up demos and ensured that all our questions were answered. The configuration was quick and easy and we went live in just a few short weeks after making the final decision. The iphone app is especially user friendly. When we presented to our sales team, we got thanked for implementing such a great system! We have been live for less than a week, but continue to receive positive feedback. Neil is very hands on and we are able to customize the system to meet all of our needs. Highly recommend you taking a look if you want to implement a system that is easy to use, allows a better control environment over expenses, automates corporate CC and interfaces with NetSuite! In reviewing the Nexonia demo at last year's SuiteWorld, the selection was an easy decision. The implementation took less than 30 minutes. This product was rolled out to all our field employees. Given that the majority of these were salespeople, we needed a solution that did not require extensive training, easy to use and provided the necessary information required from a finance perspective. The training takes less than 15 minutes to learn. The solution has been a success and has streamlined the entire expense reporting and payment process. The iPhone application is also a great tool that the field employees use. 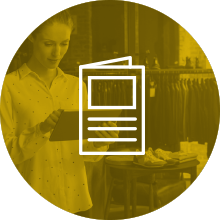 Nexonia is a solution that provides immediate ROI to your solution suite. We have been using Nexonia since January 2012 and have just loved the service. When we were looking into expense reporting products, we knew we needed something that was highly customizable and very user-friendly. We loved Nexonia because when we asked them questions, they told us they could customize their system to provide whatever additional reports and services that we needed and they have. The customer support that we have received at Nexonia has been incomparable and the speed in which they have answered our questions and provided service is remarkable. I would recommend Nexonia to everyone. I love it as one of the Nexonia administrators because of the support we receive, and because my employees love it and it is easy for them to use. Nexonia has been very helpful for our company expense reporting. Our company has been growing very rapidly over the last several years and through the process we have set in place with Nexonia, it has become more efficient, saved us time, and money. The customer support we have received from Nexonia has always been outstanding. We are very glad we found Nexonia as a tool to help our company meet the needs of a fast growing company. This product has provided us with a user friendly application for our users to submit credit card transactions and receipts. We have been using the product for one year and Nexonia has modified the system to meet every single one of your requirements. Both expense reporting and time tracking has enabled us to remove low activity users from NetSuite and still capture all the detail information for financial and payroll processing at a very detailed project level. Nexonia has helped us to make the entire expense process much more efficient. As a global organization we needed several changes and the Nexonia team responded very well and helped us through the implementation process. The Help Desk is awesome! Perfect solution for expenses. Individual enters expense report and images of receipts on their device. Populated in NetSuite for supervisor approval, payment and long term storage. 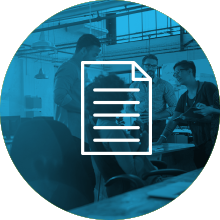 The Nexonia team has provided a seamless transition from our current expense reporting solution to integrated expense reporting with NetSuite. Not only did they develop a new phone application compatible with our company-wide mobile phone, but they continue to accept frequent feedback and make timely upgrades to both the web and mobile application to meet our user’s needs. Nexonia integrates directly with NetSuite, eliminating data dumps, file modifications, and uploads, ultimately reducing processing time, and speeding up the reimbursement process. We manage multiple corporate credit cards that integrate into a single record in NetSuite, simplifying the reconciliation process. We also reimburse foreign currency expenses in local dollars. Our users love the ease of submitting, and our managers love the reporting options and ease of approving with the support of custom policy violations and prevented submissions. We have implemented Nexonia almost a year ago and are very happy with it. Implementation was smooth, the product is easy to use, Customer Support is responsive, and the fact that the CEO is personally involved is a big plus. All customization requests were seamless; we love the mobile app; integration with NetSuite works really well. We have also implemented a feed from our corporate credit card, which works smoothly. Great product!